With the recent arrest of famed Hip Hop deejay, Mister Cee, the issue of Hip Hop and Homophobia took center stage once again. 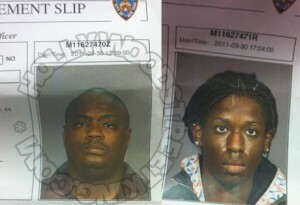 Mister Cee was arrested for allegedly being caught in a sexual position with a male prostitute. No sooner had the news of the arrest been announced, when the internet exploded with homophobic diatribes against Mister Cee and other black men that are perceived to be on the 'Down Low'. So the question remains, Why is Homophobia so prevalent in Hip Hop? To join the conversation please call 718-664-6383 at 6 PM EST or join us in the chat room at www.blogtalkradio.com/thesavvysista.